This book provides an informative account of the design of instruments used in rockets and spacecraft. The volume begins with a chapter introducing the basic principles of designing for the space environment. Following chapters discuss mechanical, structural, thermal and electronic design including the problems that are frequently encountered in the testing and verification of spacecraft subsystems. Important topics are described, including stress analysis, multilayer insulation, two-dimensional sensor systems, mechanisms, the structure of space optics, and project management and control. A final chapter looks towards future developments of space instrument design and addresses issues arising from financial constraints. The book contains lists of symbols, acronyms and units and a comprehensive reference list. Worked examples are found throughout the text. 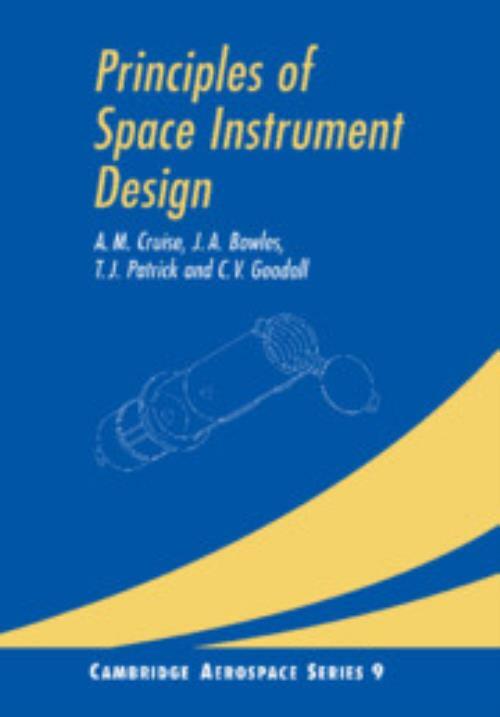 This volume is suitable for researchers and engineers in spacecraft and space instrument design. It will also be valuable to graduate students of physics, space science, spacecraft engineering and astronautics. 8. Epilogue: space instruments and small satellites; Appendices; Notes; References and bibliography; Index. A. M. Cruise University of Birmingham. J. A. Bowles University College London. T. J. Patrick University College London. C. V. Goodall University of Birmingham.